Ideal for existing homes by using wireless technology. 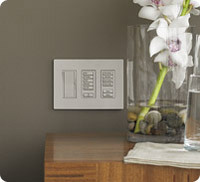 Control one room or your entire home. 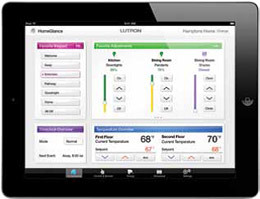 COMFORT, SAFETY, SECURITY AND ENERGY SAVINGS ARE AS CLOSE AS YOUR SMART PHONE OR TABLET. Do you ever wonder why your electric bill is so high? Most do. Have you ever wondered which appliances, lights or circuits cost you the most to use? Have you ever wished you knew what your next electric bill would be in advance? Would you like to know how much power your home is using in real time? Would you like to lower your next electric bill? We can help you address these questions and more. Call the experts at Precision today.